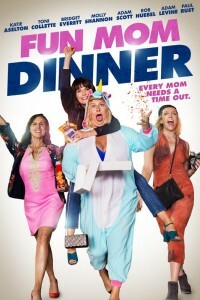 In the movie Fun Mom Dinner, four moms (Toni Collette, Molly Shannon, Bridget Everett, Katie Aselton) whose only common ground is their kids’ preschool class, decide to get together for a harmless “fun mom dinner.” The night begins as a disaster, but the combination of alcohol, karaoke, and a cute bartender, leads to an unforgettable night where these seemingly different women realize they have more in common than motherhood and men. Don't let the poster fool you. The movie Bastards arrives in theaters in time for Christmas 2017.